Proven QuickTop Pop Up Marquees Sydney. Delivered Australia Wide. Yes, we can ship to you wherever you are located in Australia. 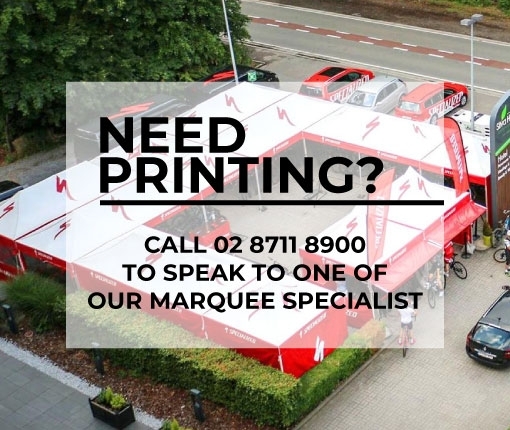 Printing is available on all of our marquees, contact us today for a quote! Proven over 15 years of service, QuickTop popup Marquees have been used in almost every application you can think of. From surf lifesaving Australia to schools, markets, fairs and heavy duty-usage with hire companies, our folding marquees have stood all that your customs can throw at them. Typically customers like to have their marquees branded with their own unique artwork or logo. We specialize in getting the artwork printed using the latest dye sublimation printing process to give your marquee canopy the very highest print quality and longevity. QuickTop popup tents are available in a wide range of sizes and strengths. Our QuickTop “A-Line” Folding Marques are our top of the line range featuring 45mm hexagonal aluminum legs with ring pulls. QuickTops also come in steel frames and lighter weight aluminum for applications where strength isn’t as important but the weight is the main factory. We supply our popup tents to customers right across Australia. We have our Marquees on display at our Sydney Showroom. At this stage, we don’t have our marquees for hire, only for sale. This may change in the future so if you are interested in hiring a marquee for a party, please contact us. We no longer use digital printing our gazebo marquees, instead preferring to use the superior dye sublimation printing process which gives clear images and better resistant to UVR. All our folding marquees are made the highest quality materials including both fabric and frame. There are also many accessories you can add to your folding marquee including side walls, half side walls, and weight bags. We extend a lifetime warranty on many of the parts of our gazebos so you can relax knowing that if something does break, you can get it replaced for free. Shade Australia is a specialist popup marquee provider. 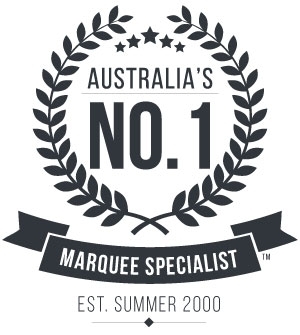 We have excellent product knowledge and our customer service team works hard to ensure that your job is handled in a professional manner from the first time you contact us all the way to when we deliver you marquee to your door. If you’re looking for pop up marquees Sydney then you’re at the right place. Call us on FreeCall 1800 155 233 or send us an email and we will arrange a quotation for your new folding marquee. You can order online and we will arrange prompt delivery to you anywhere in Australia. For super easy shade, you can’t beat the extensive range of QuickTop Pop up tents. QuickTop Popup Marquees, proven in thousands of applications right across Sydney and Australia. Full Artwork preparation, printing and delivery of your new tent.